I have started ExposedPlanet.com not only as a way to show my portfolio, but also to share the beauty of our planet. Nowadays negative press & media might make people scared of everything foreign or different: culture, religion, people and the places themselves. This xenophobia is taking over our lives and prevents us from seeing the real world as it is: a wonderful place with beautiful people. There are no bad or evil countries, religions or people. There is bad and good people in every culture, including your own. I hope I can share a bit of the amazement I have enjoyed while traveling the 7 continents. The more I see, the more I know I still have to see and I will. Life is too short to focus on not-existing enemies & fears. Comments are more than welcome, but please do not just say “great shot” or something similar, but let me know why this image (didn’t?) touch you. Subscribe to ExposedPlanet.com using any feedreader or enter your email and get the daily post in your inbox! 7summits.com: my website about the highest peaks of the 7 continents. Photos, book trips, find info, busy forum and much more. The Flexiway Solar project, replacing dangerous and expensive kerosene lamps with affordable and solar-powered LEDlights. I am also one of the founders and very actively involved, check how you can help. BikeTravellers.com: a portal site for Bicycle travellers. Find information, read stories and get your own free blog and tell the world about the joys of cycling! Bicipedia.com: companion to the BikeTravellers site with all infomation needed to plan your bike trip. 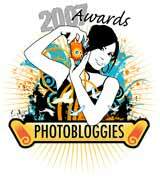 Thanks for UpgradeTravelbetter for organising the Travvies and for all the Photolovers that voted for me! contact me at: info-at-exposedplanet-dot-com or through the contact form on the ExposedPlanet blog. Harry Kikstra, a climber/expedition leader/ photographer/ filmmaker/ producer/ writer/ public speaker/ cycler and many other things that have to do with sharing the beauty of the outdoors. I have climbed the 7 continental highpoints and have traveled a lot and will not stop soon, though normally I am based in Amsterdam, The Netherlands. my detail page on the 7 summits statistics here or just Google me in word or images. You can follow me on Twitter for news, updates and tips. 7summits.com is focused on the mountains, ExposedPlanet will also show more of the culture and other nature that is to be found on our 7 continents. I hope that it will sparkle your imagination, make you curious or even just educate you a bit, being maybe the 3 most important aspects of society in my view. A picture can say more than a 1000 wars and can maybe help understand the world around us. It’s a small place, so maybe we can make the best of it together. 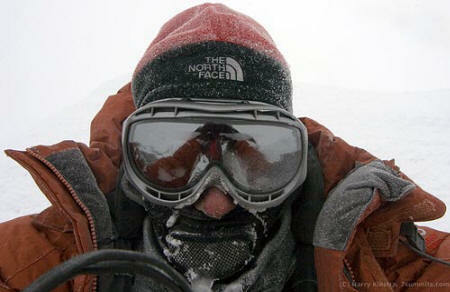 I am travelling most of the time, either leading Expeditions for 7summits.com or just seeing the world. I work from the road and everywhere where friendly people are is home/office. I have just returned from a multi-year bicycle trip through the Americas. See WorldOnaBike.com for hundreds thousands of images and many stories. I am also one of the founders and very active in the Flexiway Solar project, replacing dangerous and expensive kerosene lamps with affordable and solar-powered LEDlights. To be clear: all information, texts and images are copyrighted by me and no image can be copied, published, altered, distributed or otherwise used commercially without a prior agreement. The use is non-commercial. We particularly promote use in classrooms, photography and other (non-commercial) educational purposes, but also other (non-commercial) websites and blogs can re-use the images, as long as they are not hotlinked. Non-commercial also means that prints you may make, cannot be sold. The work is attributed to Harry Kikstra, ExposedPlanet.com. This is done by placing this text with a link to the image page if the image is used online, or just the text when used offline (in presentations, print, broadcasts) etc. No derivative works are made. This means that the images cannot be altered, so the border and texts (titles, URL) must remain as they are part of the image; the images can not be changed in any way. – The images cannot be used to promote any single religion as no specific religion -or even any at all- is endorsed. I am a strong supporter of both freedom of as well as from religion. Links back to http://ExposedPlanet.com from any website are very much appreciated, even when not using the images. Note: All of my images on all of my and 3rd party sites are copyrighted and registered. If you are non-commercial you might get approval to use it, but even then borders/titles/watermark remain (no alteration) and a working link must be placed to ExposedPlanet.com. If you don’t get approval, or you alter the then any usage is illegal, even on your blog, or charity/church/homepage! No commercial use is allowed without a license, if you are interested in prints, please contact me! See below for detailed terms. Contact me for licenses or assignments. All images are filed in categories. Each image can be part of multiple categories, see the link on top.